After living in Maui for a few years, I can’t tell you how many must do lists for Maui I’ve put together for friends going there on vacation. I get it. As major vacation destinations and so much information out there, it can be really overwhelming to plan a trip to any of the Hawaiian islands. Writing about Maui on the blog has been on my to-do list for some time so better late than never right? These are the 10 can’t miss activities I share the most with friends and family and hope they can help you make the most of your trip to Maui. Hiking at Haleakala. Look at these babies?! Why did I live in Maui? People ask me all the time how and why I lived in Maui. Here’s the short story. I had an art history degree with minimal art world experience and after searching for a gallery job for a year my then boyfriend, now husband, informed me he was moving to Maui. With no prospects on the mainland, I decided to look over there as well. Shockingly, I found an incredible gallery with a substantial museum collection that wanted to hire me. They gave me a deadline to arrive so I packed up and got on a plane! It was great to have a job in my field and get real art sales experience; going to the beach every day didn’t hurt either. Living halfway around the world for a little over two years was an eye-opening experience for me and taught me so much. I hear people say Hawaii is overrated because they assume it’s all just a giant tourist trap, hanging out at the beach in front of your hotel and eating overpriced food. If that’s all you do in Hawaii, you’re missing a lot. When we lived there, we dove in trying to find out the best of the island for ourselves and for the revolving door of visitors we experienced. Thankfully most of our friends and family wanted to leave their resort pool so we got to share the magic of Maui with them. Here's our short list of 10 must-dos for Maui. There are some affiliate links in the remainder of this post. If you purchase something from one of these links, I will receive a small commission at no extra cost of you. FYI you need to rent a car for most of these so definitely think about renting one during your trip if you plan to explore beyond your hotel. The easiest thing to do is rent from a major brand at the airport in Kahului. If you want to go a cheaper route, check out Kihei Rent a Car if you’re staying on the south side. They have some older cars that will be a lot cheaper than the airport rentals. Yes, sunrise means you’ll have to get up really early and drive for a few hours but the view is totally worth it. Depending on where you are staying, the drive to the top could take 1.5-3 hours. Translating to "House of the Sun," Haleakala is the non active volcano in Maui and a popular spot for panoramic views of the island and the desert like volcano crater. While you must make reservations to catch the sunrise, they’re not needed at sunset. The park does charge per vehicle ($25) but the view is absolutely worth it. If you like to hike, I’d recommend checking out some of the trails on the volcano for even more views and an up close glimpse of the adorable native Ne Ne goose. 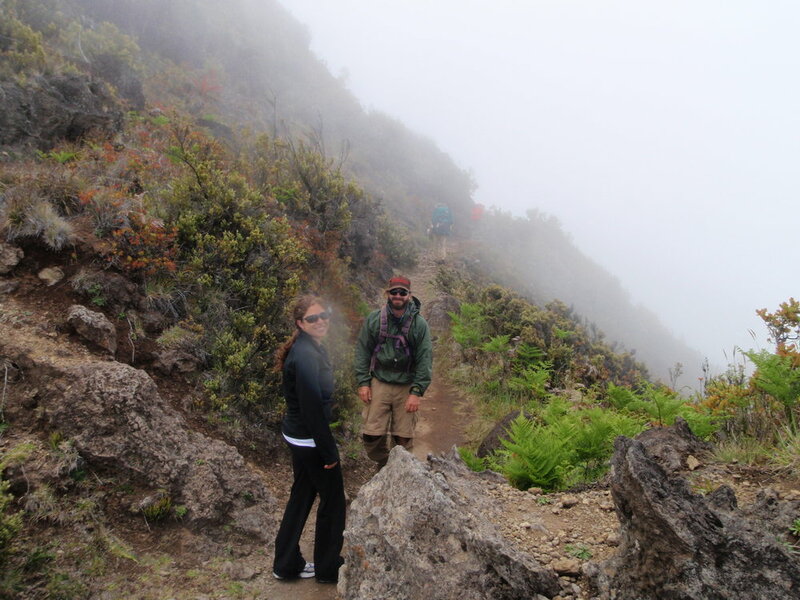 If the clouds part during your hike you can see all the way down the mountain and into the crater. 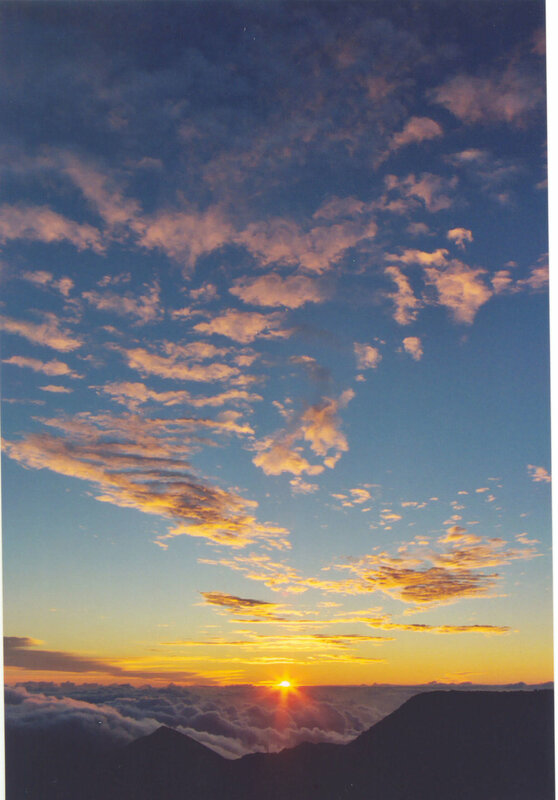 No matter if you choose sunrise or sunset, you’ll enjoy your time at the top of the world. Temperatures are about 20 degrees colder than beachside so be prepared with layers. I’m a big fan of Patagonia Capeline layers like this with a shell to block the wind. If you’re going up for sunrise, bring coffee. For either sunrise or sunset, pack snacks because the drive takes a lot longer than you think. If you forget snacks, stop for a drink and apps at the Kula Lodge. They have a gorgeous patio built into the side of the mountain. You can’t talk about Maui without at least mentioning the beach. I urge you to venture beyond your hotel and explore some of the beaches around the island. All beaches have to have a public access point, which is incredible. Even if there is a beach in front of the fanciest hotel on the island, there has to be an access point for anyone. This blew my mind. 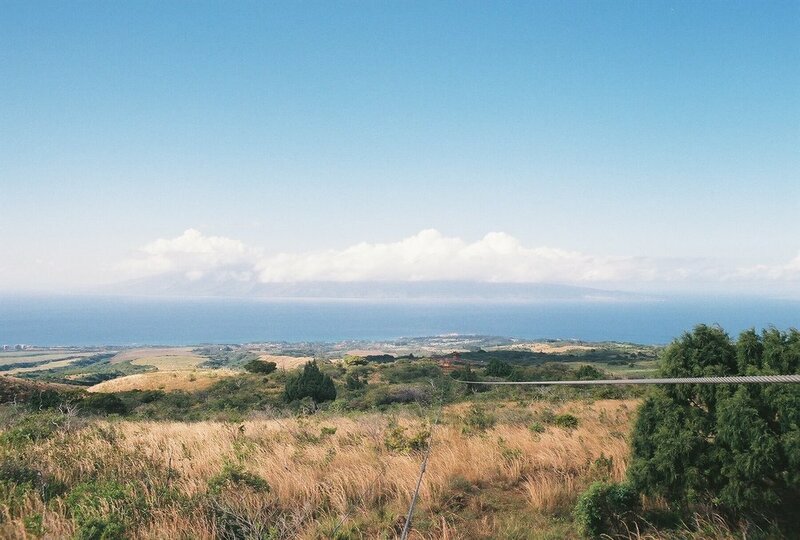 One day, Ryan were driving through Makena and he pulled off the side of the road near high walls guarding the ocean view. We hopped out and walked a little further and saw there was a narrow passage between the two walls that led to a small but gorgeous cove called Wedding Beach (some call it Secret Beach). I thought we were going to get in trouble for trespassing but we were absolutely allowed to be there. We learned later that it was a popular place to get maui’d. If you’re staying on the South side in Wailea or Kihei, go further south past the resorts and chill out at Makena Beach (6600 Makena Alanui, Kihei) or Po'olenalena Beach (Makena Alanui between Wailea Golf Club Dr. & Makena Surf). Both are long stretches of beach and aren’t terribly crowded. Westside folks in Lahaina go further and check out Kapalua. The break down the hill from the Ritz Carlton at Kapalua is called D.T. Fleming Beach and is a great spot for boogie boarding. Or just south of Lahaina you can watch the local surfers at Oluwalu. The beach is made up of rounded stones but it’s not bad to lay on if you have a beach mat or yoga mat. North Shore? Head to Baldwin Beach Park for lounging or Ho’okipa (Hana Hwy) to watch the windsurfers and surfers. The Road to Hana is a two lane road stretching over 60 miles to the sleepy beach town of Hana. This road trip really is about the journey as much as it is about the ultimate destination. With local farm stands, hikes, waterfalls, and remote black sand beaches start the trek early, take your time and enjoy. The drive will take several hours so make sure to fill up on gas and have plenty of food and water for the trip because there are no service stations along the way. Some people say The Beatles wrote "The Long and Winding Road” about the Road to Hana; channel your inner Paul McCartney as you wind and bend through the hairpin turns along the road, each one revealing a more breathtaking view of the coast than the last. Check out some of our favorite stops along the road to Hana. Twin Falls, Mile Marker 2 - There are several trails to explore and waterfall pools to take a dip in not to mention the farm stand with all kinds of goodies. You could easily spend an hour here. Garden of Eden Arboretum, Mile Marker 10 - It does cost a $15 admission fee but the gardens are beautiful and uncrowded. There is unbelievable and accessible snorkeling all over the island. Wedding Beach mentioned earlier is one of the best spots on the South side with plenty of coral just off the shore. 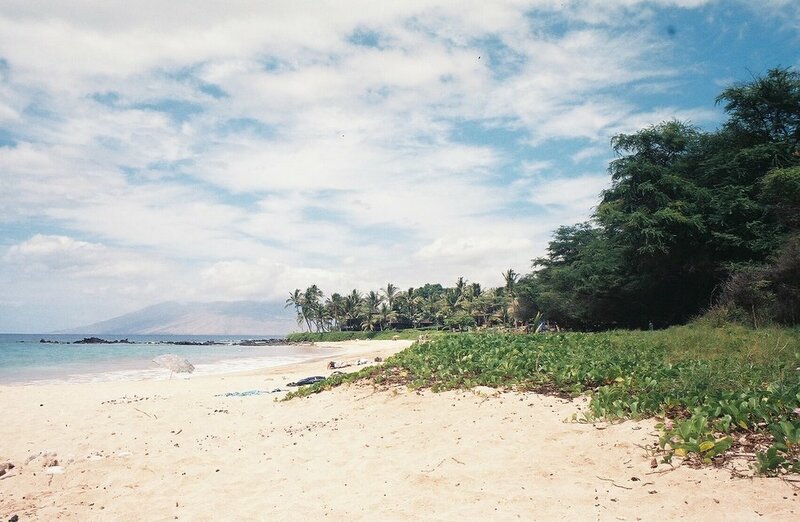 The left side of Makena Beach is a great snorkel spot as well plus there is plenty of beach for lounging when you need to warm up. If you want a guided experience, I’d highly recommend Gemini Charters. Their signature snorkel tour is to Honolua Bay (you can also do Honolua Bay on your own). This is one of the best spots in all of Maui. The reef is beautiful and full of fish and other sea life. Another popular trip they take is across the channel to Lanai. We loved this tour because not many people venture to Lanai so you’re likely to have the reef all to yourself. Ryan was their underwater videographer for a season and we jumped on the boat whenever they had free spots available. The Maui Dive Shop is a great resource for guided experiences and gear rentals. Only use reef safe sunscreen like this one. Wear a rash guard to keep from getting a sunburn (trust me). I love this one and this surf suit. DO NOT touch any coral or sea life. You can get major fines plus it’s damaging to their ecosystem. It’s kind of like the islands themselves, a melding of cultures on the same plate. The plate lunch originated on the pineapple and sugar plantations of the late 1800s and has morphed into popular comfort food enjoyed by both locals and visitors. Similar to the South’s Meat and Three concept, you start with a protein like Katsu (crispy breaded meats), Teriyaki, Lau Lau (steamed pork in Taro leaves) and a few sides all on the same plate. If you want to try a few different plate lunches, head to Da Kitchen (Rainbow Mall, Kihei) for a good variety of Hawaiian favorites. Their food is delicious and very affordable. See the path of the most recent lava flow (1700s) and follow the King's Trail for a secluded hike on the southernmost tip of Maui. The hike is about 5 miles long starting in the Kiawe groves and undulating through the lava fields along the bright turquoise La Perouse Bay. You won't see many people out here as the terrain (mostly lava) is somewhat difficult to walk on. Wear some sturdy shoes like Chacos or running shoes because the terrain can be difficult to walk on and bring plenty of water. Take breaks along the way on the little stretches of beach to rest and watch for dolphins. 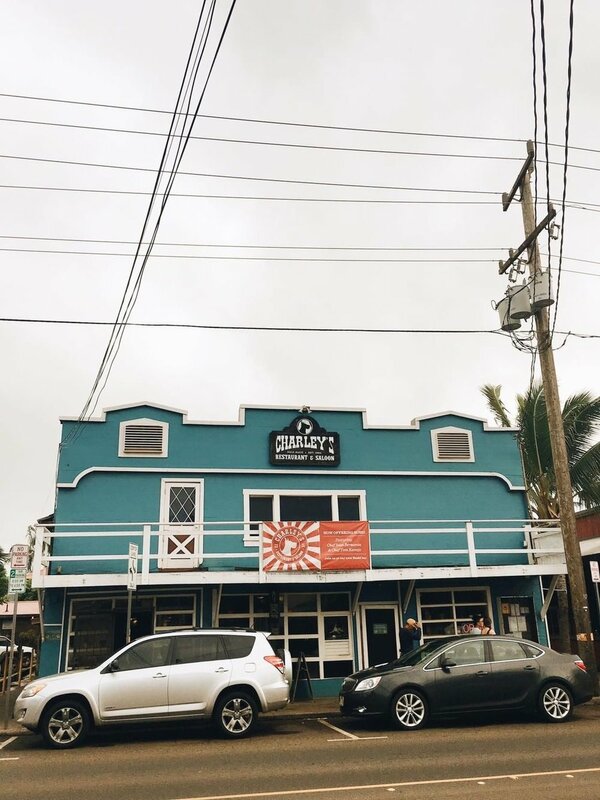 Most tourists skip this unassuming surf town as they start the long and winding road to Hana but it is absolutely worth a day trip. Spend the day shopping boutiques and galleries and eating delicious food. When your wallet needs a break just head to the beach and take a break. Keep your eyes peeled, you may even see Willie Nelson while you’re in town. Charley’s Restaurant - They serve the most delicious Eggs Benedict ever. Try it with cajun Ono fish for a local twist. This is a great happy hour and music spot when the sun goes down. It’s also supposedly one of Willie Nelson’s favorite spots on the island. We actually met him in the parking lot here one afternoon and he was just as nice as he seems. Wings Hawaii - Eclectic boutique next door to Charley’s with a mix of handmade clothing, vintage, and new home goods. Paia Fish Market - Casual seafood joint with locally caught seafood. Cafe de Amis - Really good Mediterranean food when you need a change of pace. North Shore, 1.5 miles past Paia on the road to Hana. Look for the fishing boat. You know it's fresh when they can tell you where, when, and who caught the fish. Mama’s has a number of fishermen that go out each day and bring their catch directly to the restaurant and it is served within 24 hours. This oceanside restaurant is my all time favorite dining experience on the island. It is exquisite from beginning to end starting with the location, decor, and of course food and drink. If you want to take in the view then I’d recommend dining here for lunch or an early dinner. Whatever you do, do not skip dessert. Liliko ‘i (passionfruit) chocolate mousse served in a pastry shell, the Polynesian Black Pearl is a thing of beauty. This activity is definitely on the pricey side ($179-210 pp) but seeing the island from the top of the mountain ridges is unbelievable. I did a few different zip line tours but the Kapalua Zip Lines were my favorite. They have four different zips available: a 5, 6, 7 line zip (total of 9,750FT). Unlike a lot of zip lines where your zipping from treetop to treetop, at Kapalua you’re zipping from ridge line to ridge line on the West Maui mountains with incredible views all the way around. There is some light hiking and nature interpretation so you can learn about local flora as you walk from tower to tower. You gotta try it at least once. If you've never surfed before then head to The Cove in Kihei on the south side. The waves are gentle and easy to predict. There are plenty of rental services in that area but the one we went back to over and over was Maui Waveriders. They have rentals in Kihei and Lahaina and have soft top boards (perfect for beginners), hard tops, longboards, and SUPs. If you're nervous about trying it on your own, book a lesson with the staff and they'll show you the ropes. If you're comfortable surfing, head to Oluwalu on the west side for steady waves that aren't too small but not too big. This is the black and white stone beach I mentioned earlier. There's no beach park or parking lot, you just park on the side of the road. I loved winter in Maui mainly because of whale watching season when the northern Humpback Whales migrate to the warm waters in Hawaii from December-March. It is incredible to be on the water and see these massive creatures swim, tail slap, and breach right in front of you. There are tons of different whale watching tours but we loved going with Gemini Charters. They offer two tours daily, one in the morning and one in the afternoon. Each cruise is 2 hours long and comes equipped with a naturalist, hydrophone (to hear the whales underwater), food (breakfast or heavy apps), and open bar. If you’re lucky enough to escape the snow for a week or so one winter, I highly recommend going on a whale watching tour. Check out these hotel deals in Maui!